About Us - Northampton Transmission-Serving Amherst, Easthampton, Belchertown, Chicopee, Greenfield and Holyoke. Owner John Hunter on the job. Northampton Transmission is the areas leading transmission repair and driveline specialist. 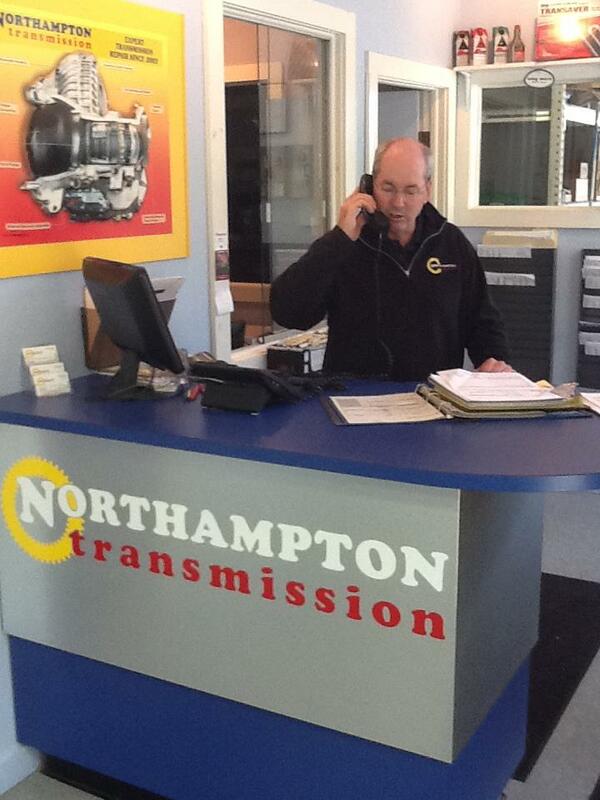 Since 2003 Northampton Transmission has served the Amherst, Belchertown, Hadley, Greenfield and Northampton areas. We also provide service to customers from Berkshire County and the Brattleboro Vermont area. Northampton Transmission is proud to be affiliated with the Automatic Transmission Rebuilders Association (ATRA). ATRA is affiliated with over 2000 members worldwide. As ATRA members our automatic transmission & driveline repairs adhere to the service and repair definitions which are a part of the ATRA bylaws and code of ethics. Additionally, Northampton Transmission is an active member in the Northampton Chamber of Commerce and the Better Business Bureau. Our reputation for providing exceptional customer service has earned Northampton Transmission an A+ rating since 2005 with the Better Business Bureau. Our technicians are ASE certified and have over 50 years experience in transmission and driveline repair. Northampton Transmission sets the standard for providing informative, courteous, personalized customer service. Transmission & driveline repairs are complex. We understand the necessity for communicating with our customers throughout the repair process and work to help them understand the value of the service they are receiving. When possible, we offer our customers choices for transmission and driveline repair and service that works within their budget and time constraints. Our customers testify to the fact that over the last 10 years we’ve developed a reputation for fair and honest service. Call us today, at (413) 585-8688 to schedule an appointment to receive more information on your automatic transmission repair or manual transmission repair by the professionals at Northampton Transmission. Our Hours of Operation are Monday – Friday, 8:00 to 5:00.